RICHMOND, Va. - Fundraising took a dive for Virginia's top three Democrats after they were mired in separate scandals early this year, but Democrats running in legislative races still raised substantially more than Republicans, according to first-quarter fundraising reports released Tuesday. Gov. Ralph Northam and Attorney General Mark Herring have raised $2,500 and $17,250 respectively since admitting in the first week of February that they had worn blackface as young men. Lt. Gov. Justin Fairfax has raised no money at all since two women stepped forward that week to say he had sexually assaulted them in the early 2000s - accusations he has strongly denied. The reports show a stark drop-off in donations to the trio of statewide officeholders during the first three months of the year, compared with what their predecessors took in over the same period four years ago, according to the nonprofit Virginia Public Access project. But fundraising on the part of individual Democratic candidates for House and Senate does not appear to have suffered. In the House, where all 100 seats are on the ballot in November, Democratic candidates raised $2.4 million in the first quarter, compared with $1.7 million raised by Republican contenders. In the Senate, where all 40 seats are up, Democratic candidates raised $1.9 million while Republicans raised $1.1 million. House Democrats touted the fundraising advantage in an email sent late Tuesday afternoon - with the aim of raising more money. "We're winning," the subject line read. "These reports are hard, on-paper evidence that the will to win among Democrats is at an all-time high," the email said. "We have the momentum and we have the competitive edge." 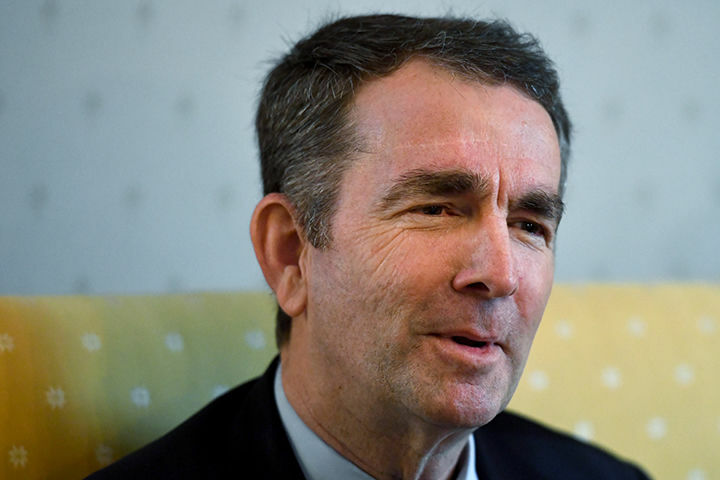 Some Democrats had been concerned they would not be able to count on fundraising help from Northam, Fairfax and Herring in this year's legislative elections, which could prove pivotal. Virginia is the only state with a competitive race for control of an entire legislature. Republicans have been playing up the scandals as they try to defend their two seat majorities in both chambers. And the GOP noted that more Democrats face primaries, which could burn up campaign cash before the general election fight. House Republicans also touted their hefty advantage in cash on hand - $6 million for the GOP, compared with $4.2 million for Democrats - created because Speaker Kirk Cox, R-Colonial Heights, raised a record $2.4 million last year, his first as speaker. Republicans had a smaller cash-on-hand advantage over Democrats in the Senate, about $4.9 million versus $4.4 million. "House Democrats are playing catch up after the Speaker's strong year gave us a big head start, but we know that out of state donors and wealthy progressives will spend almost anything to buy a majority in the House," Cox spokesman Parker Slaybaugh said in an email. The reports cover the first three months of the year, a period that included the 46-day General Assembly session, when state officeholders are prohibited from raising money. Northam, Herring and Fairfax had just about a week to raise money at the start of the year before they had to pause for the session, and they had about a month after session before the quarter ended March 31. The scandals unfolded in the middle of that. Northam's first-quarter total was $207,500, while in 2015, then-Gov. Terry McAuliffe, a Democrat, raised $822,586 over the same period. Herring, serving his second term, raised $18,000 in the first three months, compared with $137,879 in 2015. Fairfax raised $1,950 for the quarter, while then-Lt. Gov. Northam brought in $30,930 four years ago. Among legislative candidates, Democratic challenger Daniel Helmer was one of the biggest fundraisers, with $124,318 - right behind the man he'd like to unseat, Del. Tim Hugo, D-Fairfax, who raised $162,216. The only delegate who raised more - at least in a personal campaign fund - was Minority Leader Eileen Filler-Corn, D-Fairfax, with $189,775. She raised an additional $25,683 through her Energized for Change PAC. Cox raised $222,933 through his Colonial Leadership Trust PAC. House Majority Leader Todd Gilbert, R-Shenandoah, raised $20,750 through his PAC. One of the highest fundraisers on the Senate side was Del. Debra Rodman, D-Henrico, who is challenging Sen. Siobhan Dunnavant, R-Henrico. She raised $178,918, compared with $49,605 for Dunnavant. The only Senate candidate to raise more than Rodman was Minority Leader Richard Saslaw, with $185,665. In office since 1979, Saslaw faces his first primary challengers in 40 years in Yasmine Taeb, who raised $58,389, and Karen Torrent, with $360. Del. Danica Roem, D-Prince William, the state's first elected transgender lawmaker, raised $71,254 in the first quarter but has taken in a total of $280,200 toward her re-election campaign, nearly three times as much as the average hauls of the 14 other freshmen Democrats in the House. Sen. Barbara Favola, D-Arlington, who was elected in 2011, raised $63,995. She faces a challenge from the left from Nicole Merlene, a Democrat who raised $20,936. Del. Alfonso Lopez, D-Arlington, his party's minority whip, raised $50,924. Liberals have targeted his past consulting work for ICA-Farmville, an immigrant detention facility in southern Virginia. He faces challenger J.D. Spain, a Democrat who is the president of the NAACP's Arlington branch; he raised $18,556. Del. Lee Carter, D-Manassas, a Democratic socialist elected in 2017, is facing a primary challenge from Manassas Democratic City Council member Mark Wolfe, a former Republican who switched parties after President Donald Trump's election. Carter raised $40,894 to Wolfe's $27,181. Sen. Majority Leader Thomas Norment, R-James City, raised $19,237 for his own reelection, while the Senate Republican Caucus's PAC raised $286,979. The Washington Post's Antonio Olivo contributed to this report.